What is DVM Feline Joint Gel? 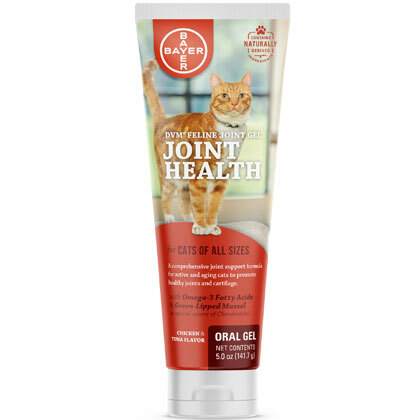 DVM Feline Joint Gel is a tasty, easy-to-administer gel for the support of healthy joint function in cats. It helps promote flexibility and strengthens joint cartilage. Ingredients such as Glucosamine, Perna Canaliculus, Omega-3 Fatty Acids and MSM work together to promote healthy cartilage and connective tissue. This comprehensive formula also supports cellular health and scavenges harmful free radicals. The poultry and tuna flavor brings cats running and the generous 5 oz tube is long-lasting for most average sized cats. DVM Feline Joint Gel contains Glucosamine and Perna Canaliculus, as well as Omega-3 Fatty Acids, which may help support cartilage and connective tissue health. This complete joint health formula also includes a blend of key antioxidants, including MSM to scavenge free radicals and help promote cellular health. For use in cats only. Keep out of the reach of children and pets. In case of accidental overdose, contact a health professional immediately. Safe use in pregnant pets or pets intended for breeding has not been proven. Consult with your veterinarian before using this product in pets: with clotting disorders; being treated with anticoagulant medications; with diabetes, or any metabolic disorder causing hyperglycemia; with a history of urinary tract stones; with known allergies to shellfish. If lameness worsens, discontinue use and contact your veterinarian. Administer during or after your cat has eaten to reduce the incidence of gastrointestinal upset. Administer DVM Feline Joint Gel to your cat by mouth during or after a meal according to the dosage chart below. 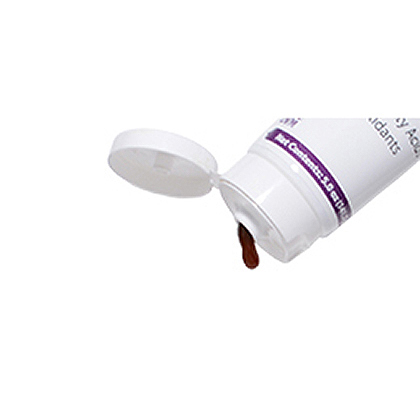 DVM Feline Joint Gel can also be mixed with food or applied to your cat's fur or paw to be licked off. Make sure to keep fresh water available for your cat at all times. Give 1/2 teaspoon (1 1/2 inches) of gel per 10 lbs of body weight daily. Other Ingredients: Cod Liver Oil, Corn Syrup, Fish Oil, Malt Syrup, Methylcellulose, Molasses, Natural Poultry Flavor, Natural Tuna Flavor, Potassium Sorbate, Sorbic Acid, Soybean Oil, Soy Protein Concentrate, Water.